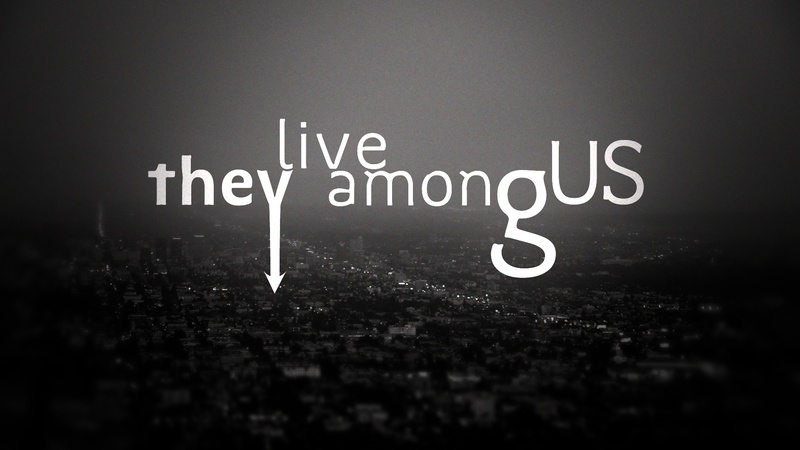 Saturday night marked the final day of shooting Episodes 1 – 3 of They Live Among Us. I sat in a corner and watched Lucian and Beliala as they stripped Beth of everything. They were voracious in their need to rob her of her humanity; their lust for her flesh was wanton. They fed on her fear – and then, they fed on her. I wondered how long their hunger would be sated by this act… who would be next? Caim and Buer bid one another adieu in front of the Paradise, and went their separate ways. I followed Caim with the stealth of a spy as he made his way through the mean streets of Hollywood. He passed a street… and stopped in his tracks. I turned to see what had garnered his attention, and there she was. A prostitute, clad in a sheer midriff blouse and the plaid skirt of a Catholic school girl. Serafina. She strode with determination, as if she worked her territory by sheer will-power alone. …and all the while Caim stood by, watching, as he had countless of lifetimes before… only this time, something within him snapped. He bested Rocco; with one swift blow he knocked him into unconsciousness. How he resisted killing him, I do not know. He gathered Serafina into his arms and soared into the night sky, towards refuge. I peered around a corner in Caim’s warehouse loft. It was not the trendy downtown loft of the self-aware hipsters, instead, Caim’s lair was a decrepit, aged building of glass and steel and stone. Caim carried Serafina gently towards his bed. He ministered to her wounds; he permitted himself the luxury of touching her face – a secret, stolen act that he could only execute while she was not conscious, for with such contact comes great danger. He waited for her to wake – and she did, filled with hurt, distrust and shame. He showed her mercy; he pledged to take care of her – and wanted nothing in return. I sensed his hidden anguish; how carefully he concealed his humiliation when he realized that she did not remember him – but how could she? I longed to comfort him, to whisper that everything would be alright – but I did not, for I could not tell if that was the truth or a lie. I still do not known which it is. Caim left. When Serafina woke, there was food, and a desperate communication to her soul: an azalea blossom. She held the flower, and I saw her hand tremble. The whispers deep inside her had begun. She left – ran, actually, like a thief, into the night, towards all she knew. She ran home to Rocco. …but I did not approach him. I waited by my car after the last shot, making small talk, smiling, seemingly nonchalant, while inside I was weeping, for I was thinking of all that I had seen that night… and I fervently wished that I was a different person, one that was more beautiful. More brave. One that had the courage to sit with the fallen. This entry was posted in Uncategorized and tagged Angels, Caim, Hollywood, Horror, Paradise Lost, supernatural, webseries, writing. Bookmark the permalink. I love how you draw us in. Every time I find myself holding my breath, waiting for the next installment.